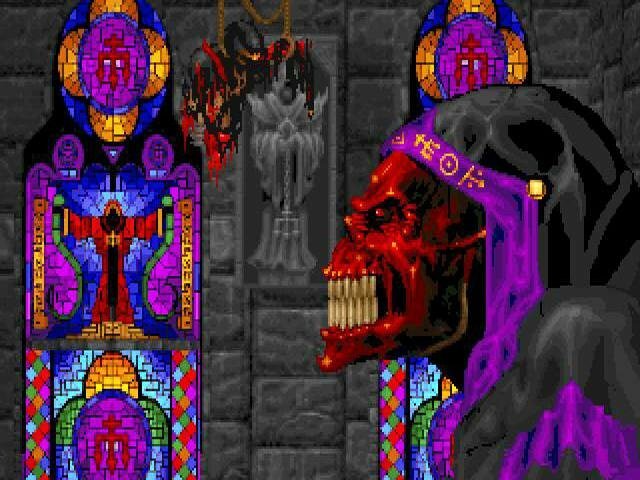 This dark-fantasy Doom knockoff is every bit as fun as its source material. 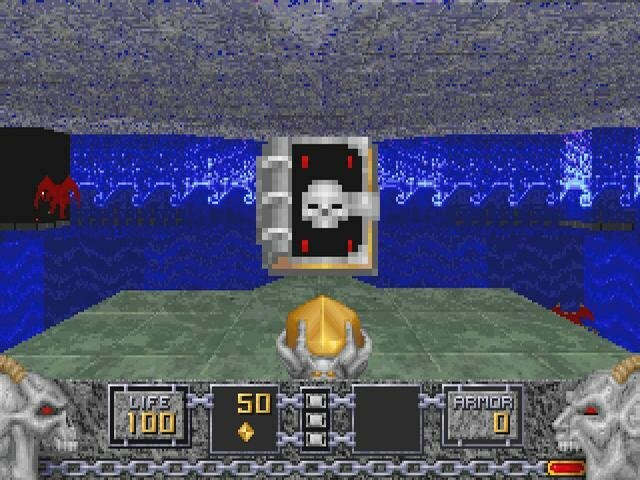 Following Doom in its demonic wake was an eager horde of wannabes looking to cash in – some good, some abysmal, most barely average. 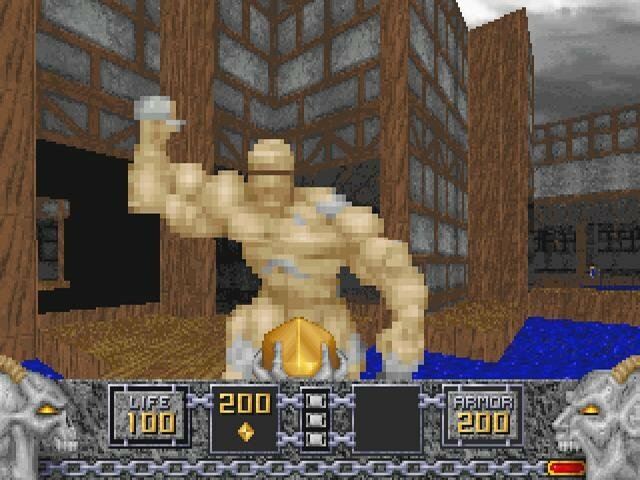 As stale as many of these would-be Doom killers were, there was one that rose above the crowd, becoming the quintessential Doom clone to own in 1995 that wasn’t called ‘Dark Forces’. 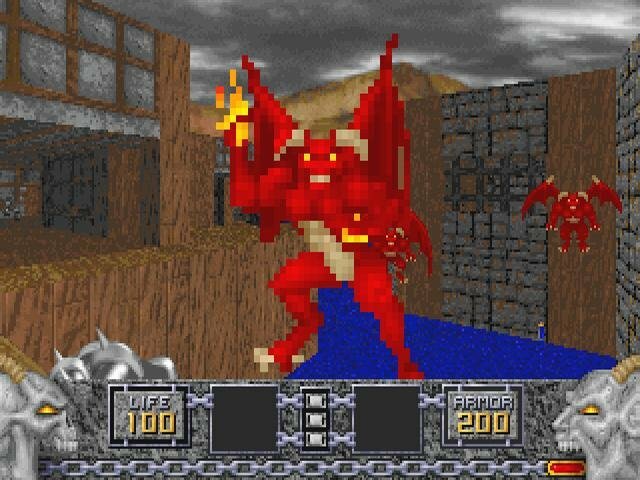 And that game was Heretic. The Ethereal Crossbow is useful at keeping enemies at bay whilst you admire the levels.. 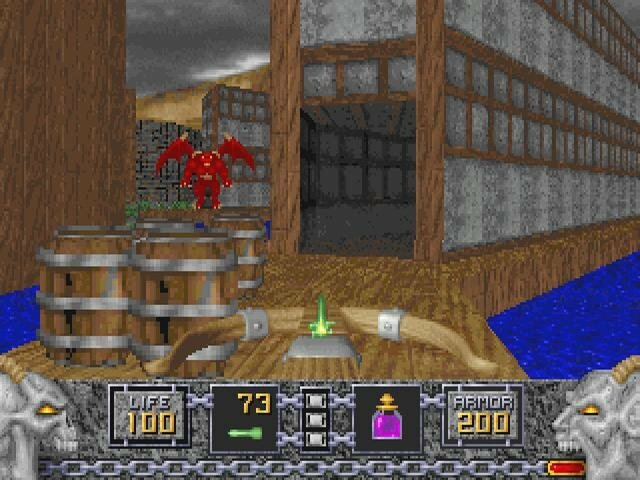 Enjoying id Software’s full support and proprietary engine, Heretic is a bubbling cauldron of great imitation. 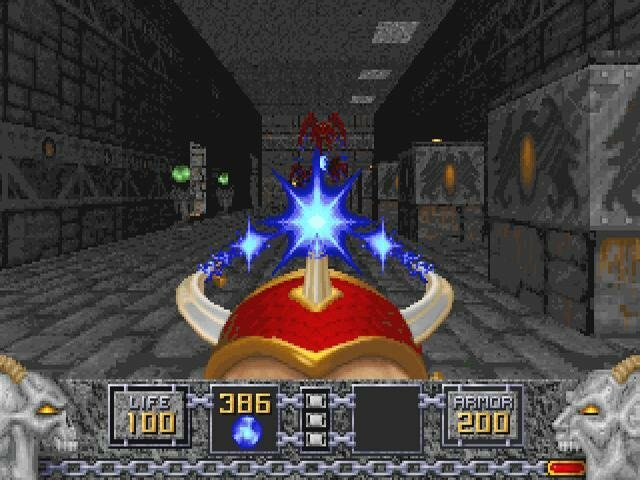 It’s essentially Doom wrapped in dark fantasy garbs, sporting an Ethereal Crossbow instead of a shotgun and a skull cap in place of a space marine helmet. As much as they resemble each other from a technical standpoint, visually and thematically they couldn’t be more different. 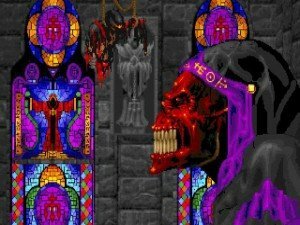 Heretic takes you to a realm of demons, undead warriors and gloomy grey castles, all in the name of cleansing the lands of an evil wizard. 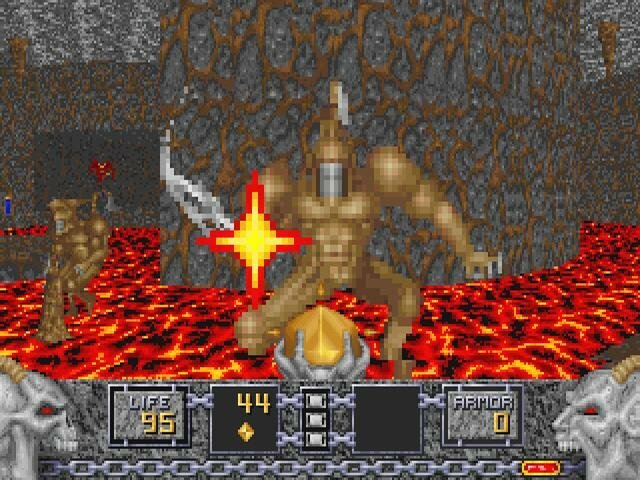 You naturally have to smear his armies across thirty or so levels to accomplish your goal in true Doom shoot ’em up fashion. 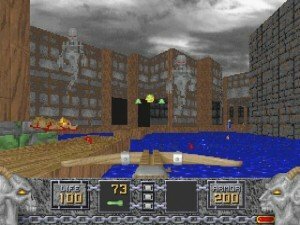 Even though Heretic is as obvious a Doom knock-off as one could be, it does come packaged with one or two innovative ideas, including a creative array of items that you can find and carry along with you (Doom lacked this inventory feature). 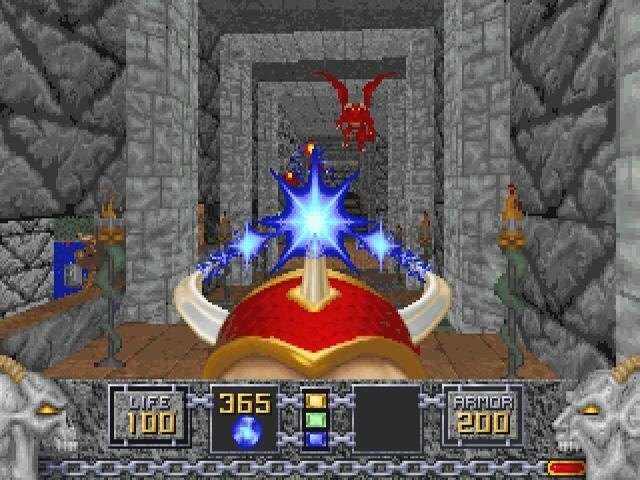 What’s more, some of these magical items are downright clever, like Morph Ovum (turns enemies into defenseless chickens), or the highly volatile time bomb, an artifact that grants you temporary flight or an ancient tome that turns your weapons into more powerful versions of their former selves (essentially giving them alternate, more powerful firing modes at a higher cost to ammunition). The weapons in particular are so similar to Doom that you could swear they were ripped straight from that game and given different textures. 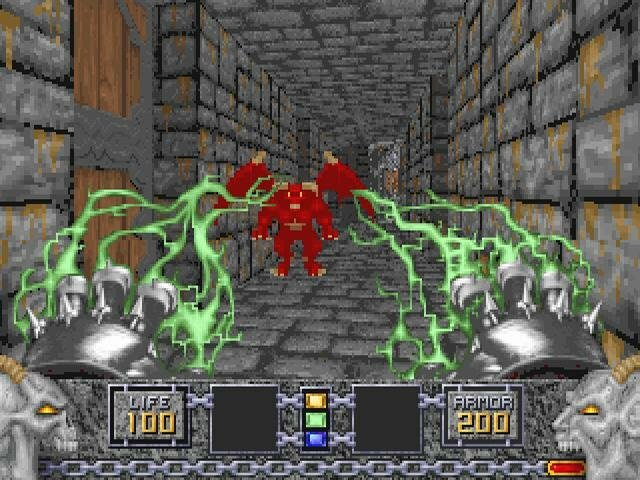 And to some extent, it’s a valid accusation – the Gauntlets of the Necromancer works exactly like a chainsaw, the Elvenwand is a glorified pistol, the Dragon Claw is the chaingun (with an identical rate of fire) and so on and so forth. 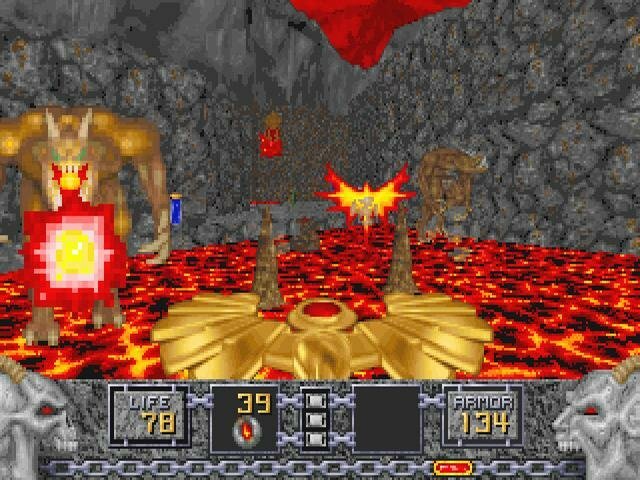 The only truly original weapon is the Firemace, which launches bouncing projectiles that look like cannon balls. 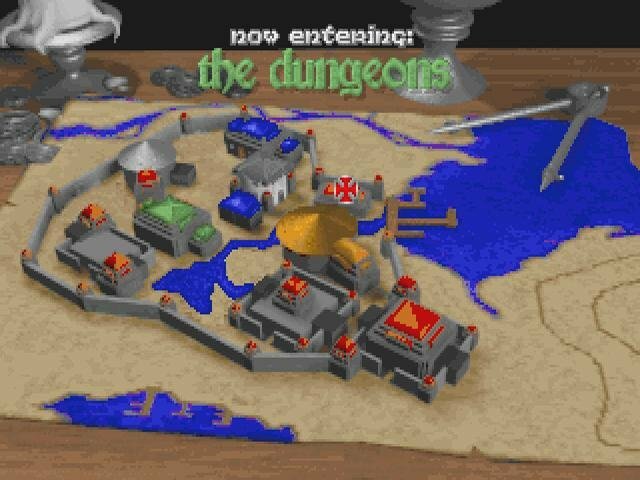 The levels are truly magnificent medieval-themed romps through the aforementioned castles, dungeons, towns and cathedrals – they bring out the best of the game, providing areas that you can actually recognize as genuine structures. 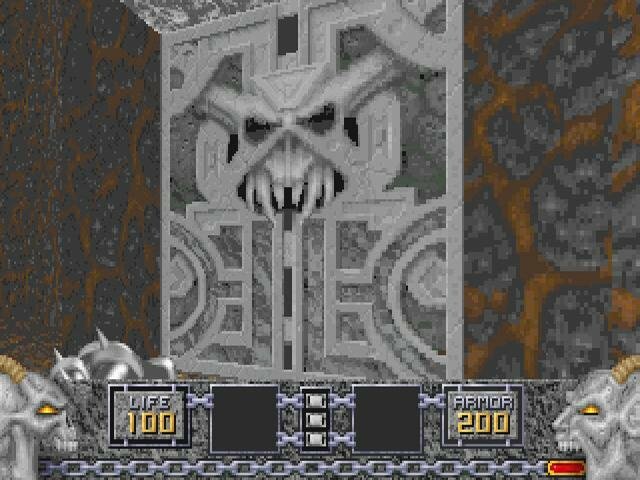 Later levels are more abstract and harder to distinguish, but overall excellent level design and cool imagery help flesh out the theme of the game wonderfully. 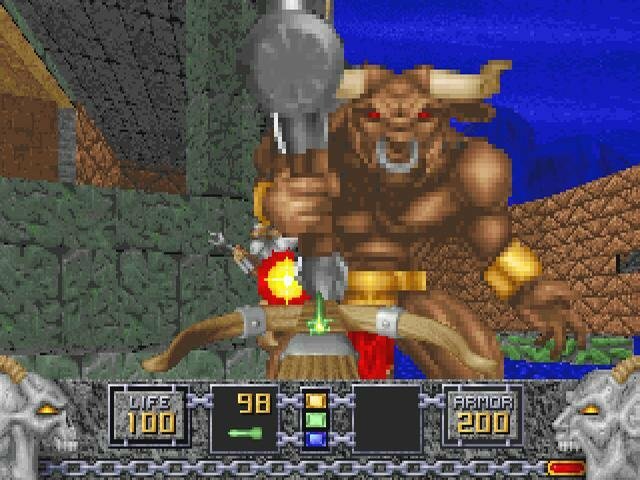 The same can be said of the weapons and monsters. 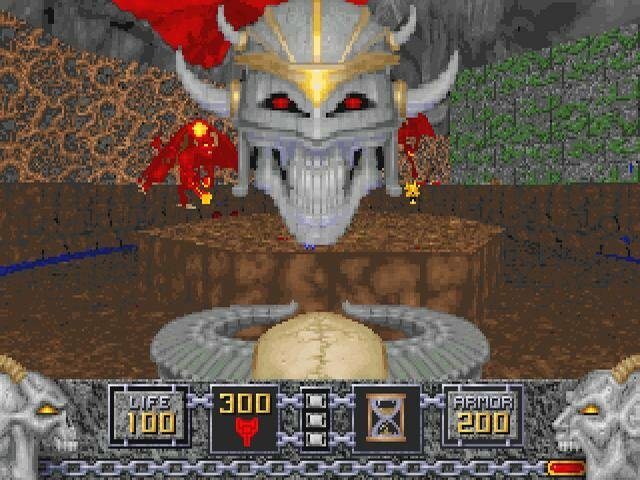 What’s even better is that, being powered by the Doom engine, Heretic is remarkably easy to run nowadays using any number of third party source ports. 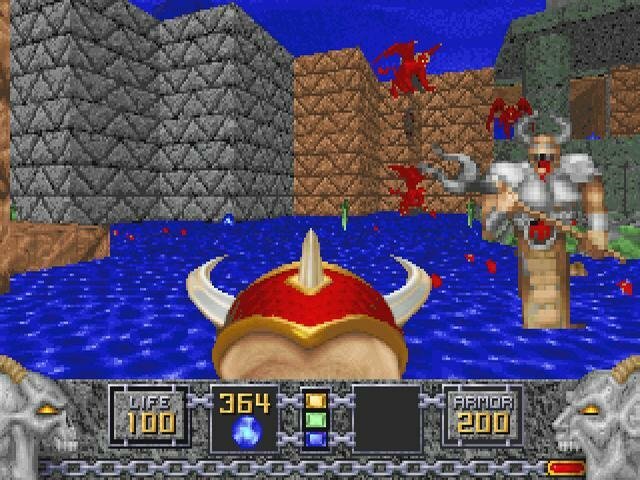 With the help of such programs as Doomsday or ZDoom, you can have this old timer up and running in minutes provided you have the game’s original .wad file. 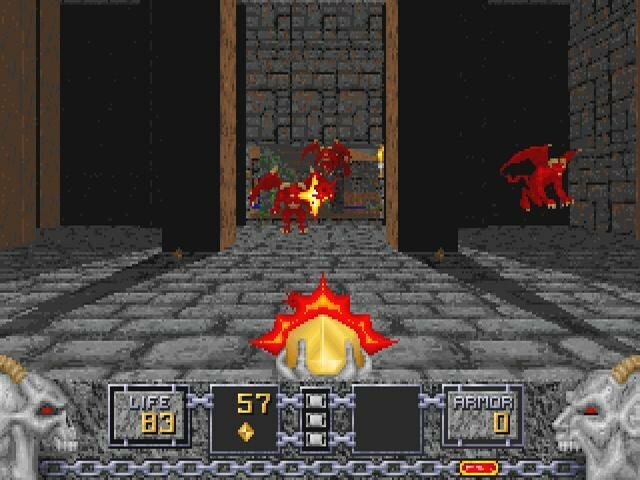 Heretic might not be the most original shooter ever programmed, but its likeness to Doom actually works to its advantage. Imitation has a tendency to miss the point entirely, but here it produced a a finely polished, well thought-out if completely derivative shoot ’em up. 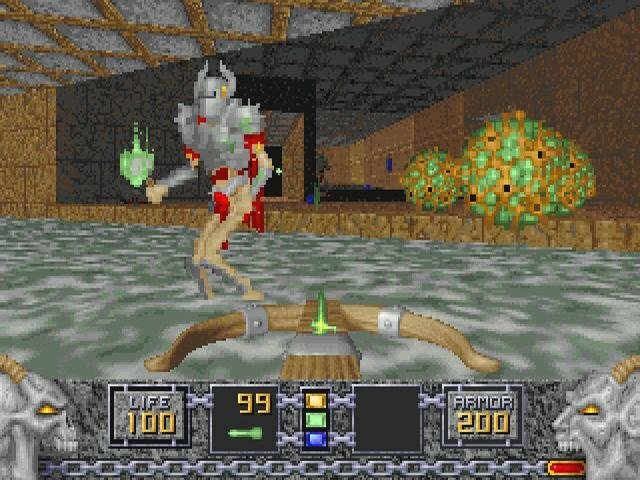 could you get Heretic: Shadows of the Serpent Riders? thanks.